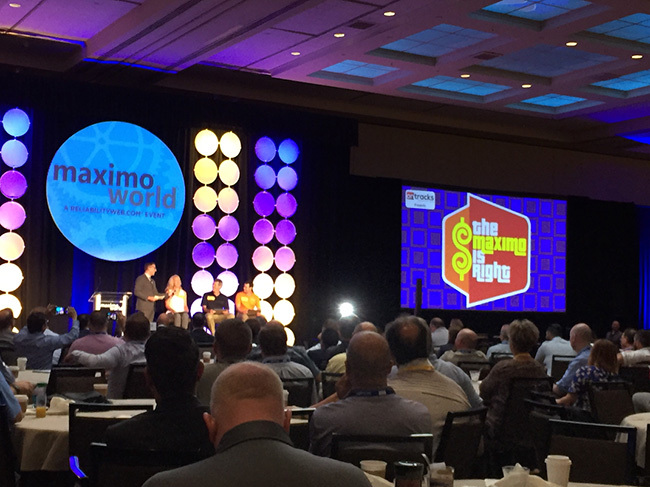 Full of new ideas and cutting-edge technology, MaximoWorld was THE Maximo conference to visit in 2018. With more than 100 maintenance and reliability focused presentations, various Maximo user group meet-ups and an exciting vendor expo, the conference offered a wealth of information to anyone attending. In the months leading up to the conference, we were presented with an opportunity to deliver a RAP talk (a MaximoWorld version of a TED talk). At Ontracks, we are always on the lookout for cool and fun ways to connect with Maximo users. We love to show off the amazing things that Maximo can do. For our talk, we wanted to engage conference attendees and let them truly experience our solution firsthand. We invited audience members on stage to participate in a “Price is Right” style gameshow, aptly renamed “Maximo is Right” for this occasion. During the show, three contestants were selected from the audience for a chance to test their Maximo knowledge and try their skills in this game. The games were designed to mimic real-world applications of Internet of Things (IoT) sensors that integrate in real time to the Watson IoT platform on the IBM Cloud. Our audience was able to witness how real-time sensor readings interact with Maximo to trigger the creation of work orders in the system. 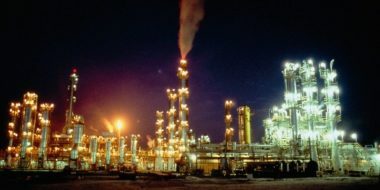 What is IBM Maximo Asset Health Insights? We used Texas Instruments Simplelink Sensors to monitor gameshow metrics such as pressure, vibration and proximity. This sensor data was then fed into a Raspberry Pi Bluetooth hub. The hub allowed us to receive all the sensor data in one place. Next, the Raspberry Pi utilized the IBM Node-Red to send the sensor data to the Watson IoT platform. This served as a landing for sensor data and provided the graphical data display we are using for the game show. A Raspberry Pi pushed incoming sensor sensor data out to the Watson IoT platform and kept a buffer of data exclusively for use by the graphs, which allowed us to visualize the real-time data during our games. We used one Cloudant database to store the logic we have created in Node-RED. Managing the game logic on each Watson IoTP event type – determining winner based on thresholds, timing, and sums over time. Creating Maximo work orders in Maximo via Maximo REST API. Sending emails with work order information and a hyperlink to the Maximo record. Hosting a website used to view sensor status and calibrate the sensors. Providing web hooks that, when queried by PowerPoint, provide sensor status and game winner information. By using this technology, we can see the many applications of real-time data being fed through the Watson IoT platform and on to Maximo. We had a lot of fun planning this RAP talk and were delighted to see the positive feedback our gameshow received during MaximoWorld. By choosing this unexpected format, we were able to bring the powerful IoT platform and Maximo Add-ons like the Maximo Asset Health Insights (MAHI) solution closer to the users, allowing the audience to interact with complex data in fun, engaging way. We truly hope that the attendees left inspired by the possibilities afforded by this technology. It was great to see the Maximo community come together at MaximoWorld to share their knowledge and experiences across all industries. The conference was a success and we’re already looking forward to attending again in 2019. 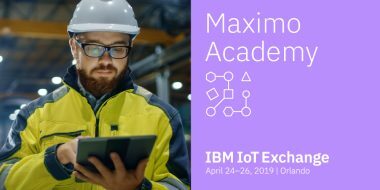 Read more about MaximoWorld happenings on the Watson IoT blog. You can also check out the new Maximo demo to see Maximo Health Insights, Maximo Anywhere and more in action! Learn about the Maximo services and solutions Ontracks Consulting provides to their clients.